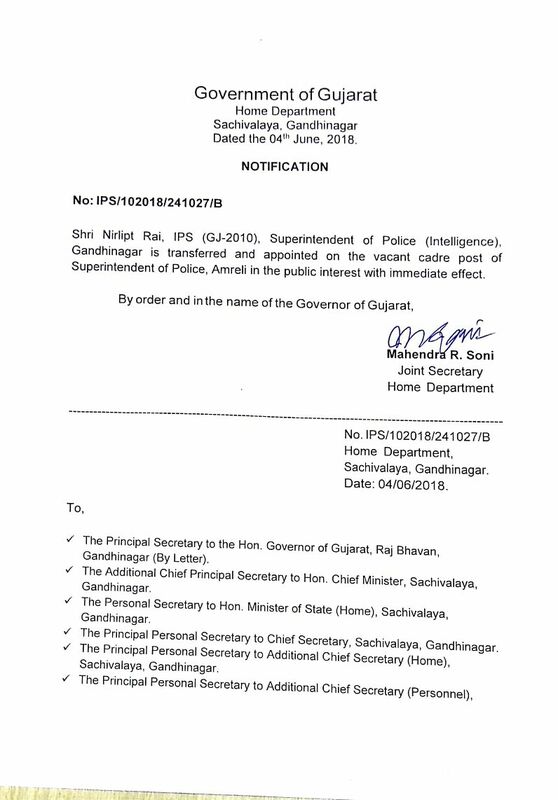 Gandhinagar: IPS officer Nirlipt Rai has been appointed Superintendent of Police, Amreli district. Rai is at present Superintendent of Police, Intelligence department, Gujarat State in capital Gandhinagar. The post of SP Amreli was vacant for last sometime. Outgoing SP Jagdish Patel was suspended after his arrest in bit coin extortion and kidnap case.